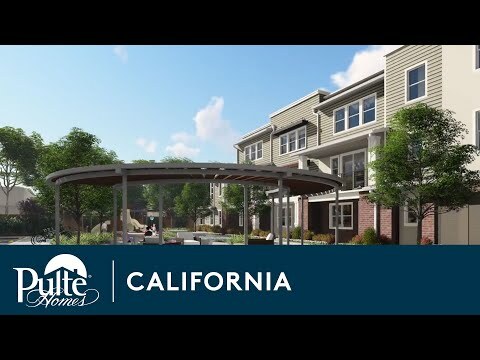 Located in the highly-desirable city of Fremont, Boulevard Heights is a contemporary, urban townhome community with open concept living spaces built for how you live. Enjoy outdoor activities at near-by Central Park and Lake Elizabeth, or spend a night out shopping and dining in Downtown Fremont, only two miles from Boulevard Heights. The life you want to live is waiting for you at Boulevard Heights. Explore this community and see for yourself. The Plan One offers low maintenance living in an efficient two-bedroom design, joined by gathering areas for all occasions. Versatility defines this three-story Plan Two combining three bedrooms with inviting living spaces in which to relax or entertain. Effortless living defines the Plan Three A with its three adaptable bedrooms and ample areas in which to connect with ease. The dual level Plan Three B joins three bedrooms with a loft and gathering room to suit ever-changing lifestyles. Options abound in the three-bedroom Plan Four that serves extended families. Generous living spaces further socialization. Dedicated office space distinguishes the Plan Four Live/Work design that conveniently serves home-based professionals. The optimal family plan is the Plan Five, defined by up to four bedrooms and four baths in three stories of fun and functionality. Workspace reserved for the ultimate professional adds value to this tri-level Plan Five Live/Work design. Boulevard Heights homeowners can spend a day with the family and friends at the nearby 450-acre Central Park, with a water park and skate park, or take a stroll around Lake Elizabeth. For a more leisurely day, breeze along the many shops or dine in the downtown district.